Elias Hernandez graduated from Desert Mirage High School in June 2016 with a GPA of 3.6. He is a first-generation college student that is currently attending College of the Desert pursuing an associate degree in mathematics. During high school, Elias became involved in sports such as wrestling, baseball, and clubs such as AVID and MECHA. He also took rigorous Honors and AP classes: such as, English Honors 1 and 2, World History Honors, AP English Language, AP English Literature, AP Spanish Language, and Calculus. Throughout High School he also worked with his father as a carpet installer on breaks and as a groomer in polo games for two winters. He was brought to the US at the age of 5 and has just moved out to allow his growing siblings to have more space, and a room to himself to be able focus on his current studies. Elias is aware that classes at a university are much more difficult but he does do not plan to give up until he achieves his goals. 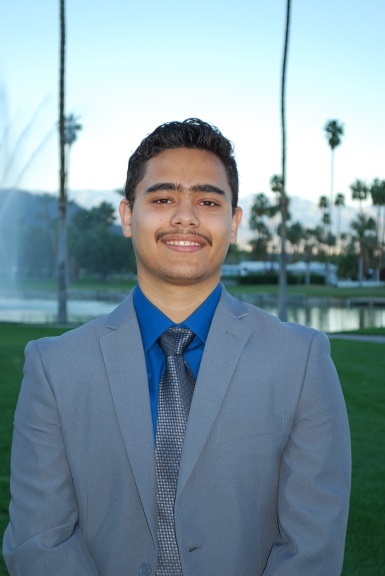 His academic goals are to transfer from College of the Desert and be able to attend Cal Poly Pomona, and graduate with a bachelor degree in civil engineering.